Every house I see has me trying to model it procedurally in my head. This is really driving me insane. Perhaps it's time for a holiday. 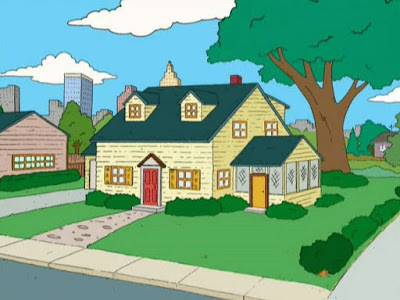 How about the roof windows on the family guy house? Why doesn't it have any guttering? Why do some windows have shutters and others don't? then ASU has buildings like this - did the tree come first and they built the house around it? Did the tree grow through the gap?